Wilma Quiel was a warm and loving sister, wife, mother, grandmother and great grandmother. She was a hardworking professional musician much of her life, yet her greatest reward came from time spent with her children and grandchildren. Over the course of her lifetime, she played for countless weddings and funerals and was the choice organist for many soloists throughout the years. Wilma often played the Hallelujah Chorus for Easter Services, which was one of her proudest accomplishments. A wild child at heart, she was always up for an adventure, whether it was zip-lining in Argentina, skiing in the Rockies, fly fishing in Wyoming, or swimming with stingrays in Cozumel. Sadly, Wilma passed away on August 19, 2017 and will forever be remembered by all who knew and loved her. Bringing great joy to their world, William and Martha Neubauer welcomed home their daughter, Wilma, on October 3, 1933, in Hand Station, Michigan located along the Wabash Railroad. Born to a hard-working set of parents, Wilma knew the value of a hard day’s work at a young age. Growing up on a small family farm in Romulus, her childhood was spent in the greater outdoors. 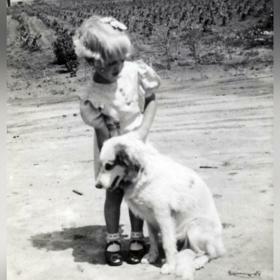 She loved helping her father with the farm and even learned to drive a tractor at the tender age of nine years old. Common of those years, children were seen playing baseball and running around the neighborhood which she enjoyed with her cousins who lived close by. Wilma was an exceptional student and even though she had endured an injury to her left index finger when she was curious about putting paper into the push mower, she never let that stop her from learning to play the piano.  Her father worked for the local railroad and later with the Ford Motor Company to afford the lessons that would one day shape her career of being a church organist. Although Wilma was the youngest sibling to Clarence, Lucille, Marjorie, and Lenora, she was the first to graduate from Romulus High School in 1951. Stepping out into the world at the age of sixteen, Wilma landed her first job as an organist at St. Paul United Church of Christ in Taylor, Michigan where she played for thirty years. Wilma treasured singing and acting in several variety shows at the church. She didn’t hesitate in dressing up in Hawaiian grass skirts and other costumes to perform comedy skits or scary routines that made the kids scream! Wilma’s natural way of performing attracted Larry Quiel one night during a rehearsal. Recognizing her from playing the organ at church, he told his dad that one day he was going to marry her and as fate would have it, that’s exactly what he did! Joining in a romantic ceremony on April 11, 1953, they were eager to share the rest of their lives together. Wilma followed Larry back to base right after the wedding as he was on a short three-day leave from his assignment with the United States Army. Their hearts were overfilled with joy when Denise, their first child, arrived in El Paso, Texas nineteen months later. 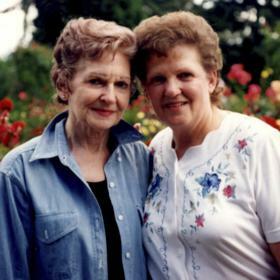 After Larry was formally discharged, the young family moved back home to Romulus where Wilma’s father had split some family farmland between her and her sister, Marjorie. 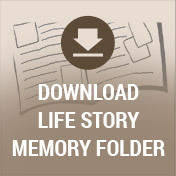 While their home was being built, she and Larry lived with her parents for a short time. With Wilma and Marjorie’s homes built only a few acres apart, their families grew to be exceptionally close. By 1958, their second daughter, Vicki, was born. 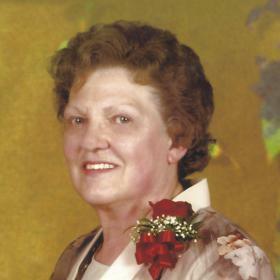 Music remained Wilma’s passion where she played at both Good Hope Lutheran Church and St. Paul’s UCC in Dearborn Heights. 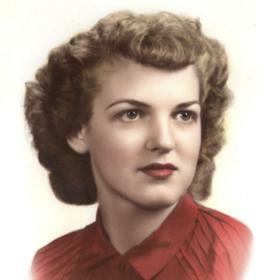 All in all, Wilma was a church organist for a remarkable sixty-four years. Known to play the organ barefooted, she explained that this helped her connect better with the foot pedals. Wilma was also a homemaker until her youngest child, Vicki, was ten years old. By 1968, she went to work as a receptionist at Mr. Stanley’s Beauty Salon in Dearborn. A few years later, she began working at Brown Art Corporation as the office manager where her husband, Larry, was President. Wilma worked at Brown Art for more than forty years, during which time she and Larry co-owned the company. By 1981, they had relocated to a house that Larry and Wilma had designed and built on several acres in Canton, Michigan. Wilma didn't believe in "retirement" and continued to remain active, both working at their company and playing the organ. They also treasured numerous trips to many fascinating places including Alaska, Hawaii, China, Aruba, St. Martin, England, the Holy Lands, Thailand, Egypt, Singapore, Hong Kong, Jamaica, and Mexico. In addition, they went on mission trips during their years together to Peru, Ecuador, and Chile. 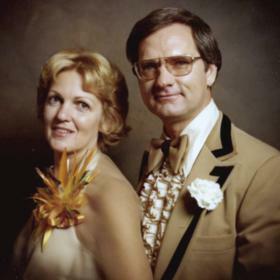 Wilma and Larry savored many years of entertaining on Christmas Eve often serving her specially prepared orange and grapefruit slices and her tasty Christmas wreath cookies. Each Christmas, she and Larry would select one of her many beautiful counted-cross-stitch pictures to photograph and make their own custom holiday cards to send to an extensive list of family and friends. She loved to send them out with special messages and a favorite Bible verse. With great anticipation, she’d check her mailbox each day for returned letters or cards. Her favorite were the kind with letters that included updates about the person’s family. This long held tradition helped her maintain friendships that went back as far as her childhood, especially those with high school pals, Jean and Joan, who continued to stay in touch their entire lives. Wilma lived her life to the fullest. Never one to remain idle for long, she loved to take daily walks as well as do complex word searches and diagramless crossword puzzles. In her younger years, she made countless Barbie and Ken clothes as well as prom dresses for her daughters. She also made an exquisite bridesmaid dress for her niece, Debbie, when the dress didn't come in a small enough size for a junior bridesmaid. Talented and skilled as a seamstress, she also crafted a special confirmation dress for Debbie that had an intricate white lace overlay on a beautiful pale blue fabric. Although she didn't sew much in later years, she took up counted cross-stitch, creating many beautiful pieces. She had such a passion for this activity that as each picture was being completed, she would get excited and say they were "coming to life". Her grandchildren made special memories helping her with jigsaw puzzles. One of Wilma's most well known passions was hummingbirds, having a large collection of hummingbird-themed items throughout their house. She also loved fresh seasonal strawberries and tomatoes from the local farm markets. Each year, she eagerly anticipated their arrival and we all knew we would soon receive cases of this delicious produce! And finally, two of her most favorite cars throughout the years were her 1965 poppy red Ford Mustang-the first "official" year for that vehicle. She also loved the 1977 Mercedes 450SL convertible that she got in later years. Described as strong-willed, witty, with a quirky sense of humor, Wilma will be greatly missed by her loving family. She leaves behind a wonderful example of being patient, passionate, and more than generous to all those lucky enough to have known her.